1 Think your tool box is complete? Think again! 1.15 Don Vandervort from HomeTips.com gives us 2 for the price of 1! 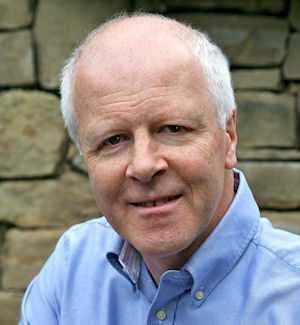 1.23 ToolBusiness and Hire Magazine’s Peter Brett defies the rule of 3! Think your tool box is complete? Think again! With so many different options on the market today, choosing the right bits of kit for your tool box can prove to be a bit of a minefield. You can easily find yourself at the checkout of your local DIY store with a trolley full of stuff that’ll never see the light of day again once it’s been put away at home. So we decided to ask 26 of the best in the business for their opinion and their responses were amazing. Plus, we didn’t just ask them to name one piece of kit – we asked them for three! This gave us a greater insight into their tool boxes and opened our eyes to one or two surprises too! Some of the responses are obvious (but essential), others we just would never have thought of. Honestly, even if you’ve been doing DIY for decades, what these 26 experts have to say will astonish you. The Big Brother winner has gone on to present numerous home improvement programmes for the all of the major broadcasting networks in the UK. A trained bricklayer and keen DIYer, Craig certainly knows his stuff. A good tape measure – At least 5 metres long. Whatever DIY or building task you do, measurements are essential. For instance, when tiling you need to measure the walls to find the centre for your first tile as the first one dictates were every other tile goes. Then there’s cutting for the corners and the top course – likewise when wall papering. Lengths have to be measured and cut, and areas have to be worked out when purchasing materials. Woodwork, flooring, fencing, decking, brickwork, fitting kitchens etc. the list really is endless. Spirit Level – As with the tape measure, whatever task your attempting the spirit level is also essential and again the list is endless. Putting up shelves, mirrors, picture frames, tiling, wall papering, decking, brickwork, fitting kitchens, fitting a bathroom suite etc. Hammer action cordless drill – Whenever you’re fitting items to the wall the surface will need drilling, whether it’s a plaster board finish or a masonry wall. You use the hammer action setting on your drill with a masonry drill bit. If the surface is just wood or plastic, then a pilot drill bit will be used to drill a small pilot hole that will allow the screws to be fitted without the wood/plastic splitting. 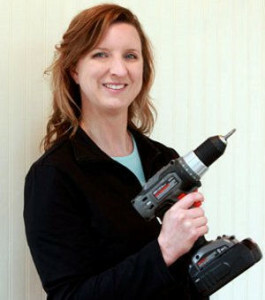 Then, when the screw needs driving in or out, the cordless drill can be set to screw to finish the job. I’d always recommend using Silverline tools for great value and performance. A DIYer’s toolbox should include many things from power screwdrivers to levels, but the three tools I turn to time and again as favorites for speeding up or fine tuning any project are a brad nailer for attaching wainscot and trim, a Kreg Jig for building projects, and a Dremel rotary tool with specialized attachments for small projects. Got a project in your mind but don’t know where to start? Make Totally Home Improvement your first port of call next time you need a little guidance. Here THI’s editor, Jason Horton, gives us the lowdown on 3 pieces of kit that should be in everyone’s tool chest. 1. It’s time to upgrade to the 21st century if you haven’t already. Instead of the old type of level, I prefer one that’s enhanced with lasers like the Bosch GPL3T. 2. A good pair of safety goggles – If they’re not right there in your tool kit you can tend to get lazy and say things like “I don’t need to go get them because it will only take me 2 secs to grind this corner down” – but you don’t get a second chance with your eyesight. 3. Extra batteries and an extra battery charger – It’s happened to the best of us, you run out of power before you get to the end of the job and it’s extremely frustrating. I like to have a fresh battery waiting and one on the charger at a minimum when working, and I like to put the used battery on charge the moment I swap it out. Beth started Home Stories A to Z back in 2008 and she’s been offering up helpful advice on all manner of decorating and DIY projects ever since. You can follow her on Facebook and Twitter. Three things I cannot live without in my toolbox are my glue gun–great for quick repairs and even ‘hemming’ a curtain in a pinch, my tape measure, and my all-in-one socket screwdriver. 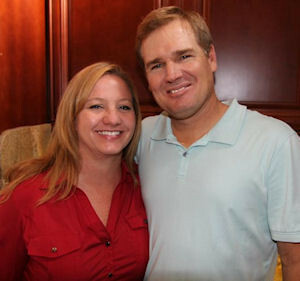 Husband and wife team Mark and Theresa Clement are extremely busy people. Not only do they run the fantastic MyFixitUpLife website, they’re also a huge part of Food Network’s ‘Save My Bakery’ and they host their own home and lifestyle radio show too. As if that isn’t enough you can always find them on Twitter too…do they sleep? Theresa: Tape measure, multi-tool, pencil. 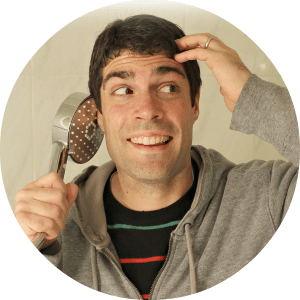 Mark: The tool you need is always the best tool to have! ImproveNet has been on the web since 1996, offering solid advice on remodelling projects for enthusiastic homeowners and professionals alike. If you’re looking at tackling a DIY project it’s always worth checking out their site first for helpful advice. Keep up to date with them on Facebook and Twitter too. What 3 Things Should Be In Everyone’s Toolbox? There are numerous tools we all wish we could own for various DIY projects, but like most of us, we must prioritize. Therefore, if you could only have three things in your toolbox, they must be measuring tape, a hammer, and screws/nails. Nearly every home remodeling project requires measurement. With measuring tape, you don’t have to go fumbling around your desk for a ruler every 10 seconds. For a hammer, go with a straight claw hammer. It’s must easier to take things apart with a straight claw hammer. Finally, who doesn’t use screws or nails in a remodeling project? 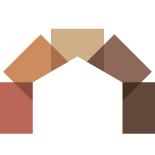 Ask the Builder began back in 1993 as a syndicated newspaper column, and the online version does the same job – giving great advice to anyone looking to improve their home. 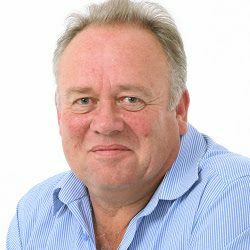 Tim Carter is widely recognised as one of the most reliable sources of DIY information on the ‘net, let’s hear the three things he recommends for every home improver. My answer will probably shock you. 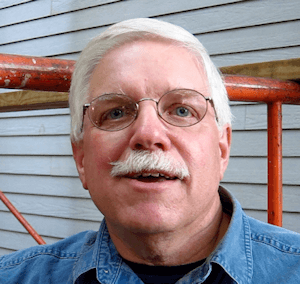 Reaching back to when I got started in home improvement and zipping through the hundreds of thousands of questions I’ve answered at AsktheBuilder.com over the years, I’m pretty sure I know the three must-have things a person needs in their toolbox. The first thing that should be in there is a healthy respect for safety. I can clearly remember standing on the second-last rung of a fully extended 40-foot extension ladder that was set on a 2x12 across the peak of a lower roof. All this to paint the tip of a house gable. I’m lucky to be alive. Lead, electricity, pathogens in plumbing pipes, dangerous power tools all present lurking hazards for anyone, even pros. Due diligence is the second thing that I’d have in my tool box. This is a rare tool that’s hard to find in today’s world of instant gratification and go, go, go. All too often people jump into a job thinking they know the right way to do it. They fail to read instructions printed on labels and that come with products, they fail to research the job watching videos from real pros who have worked in the homes of paying customers for over 20 years, and they all too often follow advice they’ve seen on home-improvement TV shows, most of which have a very twisted sense of reality. When I give advice on protoolreviews.com I always shoot for combining great value with innovation. There are a few tools I carry almost everywhere that really match that description. The first I’d include is the new Ryobi Dual power 20W LED work light. This light offers a lot of output, can work with a standard extension cord, or it can run for up to 4 hours on a single 4.0 Ah One+ battery. Bring an extra battery and you can use it all day! I also always bring along my Milwaukee M12 FUEL impact driver (2453-22). What I like in particular about this tool is the 2-speed drive control that makes this brushless tool perfect for detail work as well as higher torque applications. Plus, with 1/4” hex drill bits, this single tool can handle just about every drill and driving application you can think of. As someone who does a lot of electrical work as well, I’d be lax in not mentioning that some of my favorite go-to tools are my Klein cushion-grip screwdrivers. These tried and true drivers are some of the best on the market. Since I use them almost every day for one thing or another, it’s no surprise that a nice, comfortable screwdriver makes all the difference. With that said, I have recently grown to love the new Klein 11-in-1 Multi-bit interchangeable screwdriver. This takes all those drivers I normally carry, and—with the same cushion grip—combines them into a single tool. You can follow Pro Tools Reviews on Twitter and Facebook. Any toolbox must have the basics like a hammer, screwdrivers, tape measure and saw but, whether you’re a seasoned DIY expert or a beginner, a good reference book is essential. Collins Complete DIY Manual by Albert Jackson and David Day, which explains everything from putting up shelves and decorating to electrics and plumbing, is excellent. When it comes to getting jobs done WD-40 is one of those magic products that helps solve numerous problems from loosening nuts to fixing squeaky hinges. Duct tape is an equally vital toolbox ‘tool’ – you’ll only realise how useful it is when you run out! As a regular House Beautiful columnist and co-presenter of C4’s ‘Make, Do and Mend’, Jo Behari knows exactly what every toolbox needs. So there are the obvious tools – hammer, drill, screwdriver set etc. – but I’m guessing you are looking for something a little less obvious. A head torch for those hard to see places when you need both hands (I hate having to work with a torch in my mouth, my dad’s a dentist so it’s a definite no no). 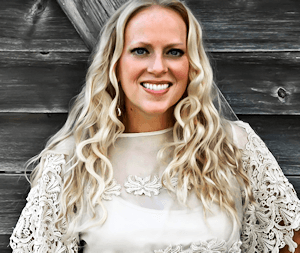 Brittany’s blog, Pretty Handy Girl, is the perfect starting point for anyone who is looking to get into DIY but feeling a little nervous. 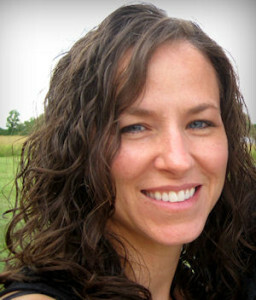 With her expert tutorials and light-hearted manner, Brittany will have you completing home improvement projects you never thought possible in no time at all. Keep up with her on Twitter and Facebook. 1. A pencil – if you’re like me you’ll forget that measurement 2.3 seconds after you measure. I prefer to make marks on my wood to cut. To me it’s more accurate. 2. Lipstick – Ha, this isn’t to look pretty. I use lipstick to mark outlet boxes when cutting into panels. 3. A cordless drill – of all my tools this is the one I reach for the most. Driving screws or drilling holes is just part of being a DIYer. 3) A Pencil – The most underrated tool in the world! Where would you be without the ability to mark-up drill points and measurements. 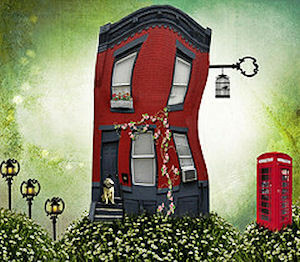 Adorable Home has been bringing readers great design ideas and solutions ever since its inception. If it’s inspiration you’re after, look no further. Founder Lynn Filkova gives us her top 3 (or was it 5) things that you definitely must have in your arsenal. I tend to be more drawn to decorating. I can’t get enough of creating small beautiful objects that bring diversity, style and identity to a room. So for me, I would say that the top 3 DIY toolbox essentials that you absolutely cannot do without are sharp scissors, glue, a secondary adhesive material resource and spray paint. However, since you are asking about a toolbox that would work for everyone, I would substitute the scissors for a DIY multi-tool and the spray paint for a roulette measure building tool. The Handyguys Podcast has been entertaining and informing us for years so we were delighted to hear from Brian Peppel. He told us 3 things that should be in everyone’s tool bag, but are often missing. Really, at the end of the day, it depends on what types of projects you will be doing. I usually recommend getting tools as you need them. Don’t spend money on tools you will never use. Don Vandervort from HomeTips.com gives us 2 for the price of 1! 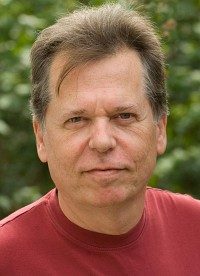 Home improvement expert and author Don Vandervort, started HomeTips.com back in 1996 and the renowned site has given over 100 million visitors top quality advice since then. With over 2,000 top-notch articles on their database, HomeTips is truly an extremely useful resource for any DIYer. This is an interesting question, because it depends on the nature of tasks you want to address. Three basics that I think belong in every home for doing a plethora of home projects are different that three tools for people who want to handle their own home repairs. 1) A 25-foot by 1-inch measuring tape. Measuring is an essential part of most home projects, and this size tape is long enough for most home projects. 2) A 16-ounce curved-claw hammer. It’s hard not to include a hammer in any basic toolbox—you need it for everything from nailing boards to hanging pictures to driving a garden stake. This is a good size for miscellaneous tasks and the curved claw is best for pulling nails. 3) A retractable-blade utility knife for cutting materials, opening boxes, slicing electrical cable, and more. 1) A 3/8-inch cordless power drill with bits and screwdriver tips, which is handy for everything from furniture assembly to drilling holes for wall fasteners. 2) A 12-inch tongue-and-groove (Channellock®) plier, which allows you to tightly grip and hold or turn objects such as pipes or plumbing fittings, nuts, or even balky jar lids. 3) Plastic safety glasses to protect your eyes when working with striking tools or power tools, working under the sink, pruning trees, and more. For the DIY toolbox, I think it’s worth it to spend a little more in order to get really quality versions of the most often used tools. You can cheap out on the oddball tools that you only use three or four times, but your bread and butter gear has to be good or you’ll be pulling your hair out in no time. To me, this means a really nice screwdriver, a really nice hammer, and a really nice tape measure. For a screwdriver, I’m a big fan of the MegaPro 13-in-1. Once you get your hands on it, you can basically throw out the 20 random screwdrivers that are doing nothing but taking up space in your garage. The MegaPro has a really smooth ratcheting action, a fantastic handle, and really clever bit storage (a spinning carousel pops out of the back of the handle). It has every bit you’ll ever need for around the house work and they’re all in one place, so when you go to adjust the loose doorknob, you can be confident that you have what it takes. No more multiple trips back and forth to the garage trying to find the right size. As for a hammer, I prefer Estwing steel hammers for their indestructible design and perfect balance. I’ve been beating on my 20-ounce, straight claw for almost 15 years and it’s still good as new. Lastly, a quality tape measure is essential. A lame one will fall apart and the blade will kink after five or six uses. I’ve been a long-time user of the 25-foot FatMax, but lately I’ve been trying out the new Milwaukee General Contractor tapes and I’m considering a switch in allegiance. The Milwaukees have a nice wide base, so they don’t tip over as easily. The blade also has some serious reinforcement to it and so far it’s proven to be really durable. 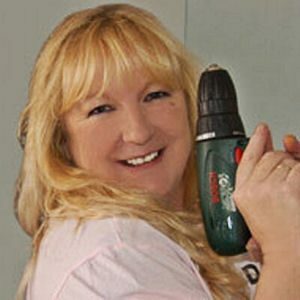 Jeff Patterson offers up imaginative solutions to many DIY problems on his fantastic website, homerepairtutor.com. Jeff’s idea is simple – give people proven tips and strategies so that they can make the most of their homes for themselves and their families. Keep up to date with his latest projects on Facebook. Non-Contact voltage testers are a must for anyone so you can test for live wires when doing electrical work. Impact drivers are great for installing cement board, carpentry, car work, and more. They can even serve as a drill with the right drill bits. Oscillating multi tools are awesome at cutting pipe, trimming casings, sanding, and a ton of other stuff. I love the SharkBite fittings because you can throw one on a pipe is it’s leaking. If you’re looking for an honest assessment on a tool that you’re thinking of buying, make ToolGuyd one of the first places you go for advice. Considering Stuart Deutsch has reviewed so many pieces of kit since he started ToolGuyd his selections may shock you, but your toolbox should definitely contain all of the items that he recommends. For the latest news and reviews check out ToolGuyd on Facebook and Twitter. Eye Protection – I prefer Uvex or Radians goggles since I wear corrective glasses and goggles fit right over. 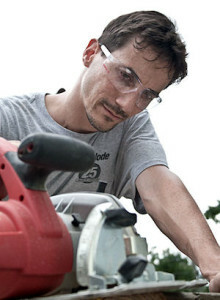 Hearing Protection – If you plan on doing much of anything with power tools. First Aid Kit – Minor injuries will happen to even the most careful DIYer or pro, and even small nicks and cuts should be protected. Nexcare waterproof bandages are thin and comfortable and will help you keep working distraction-free. 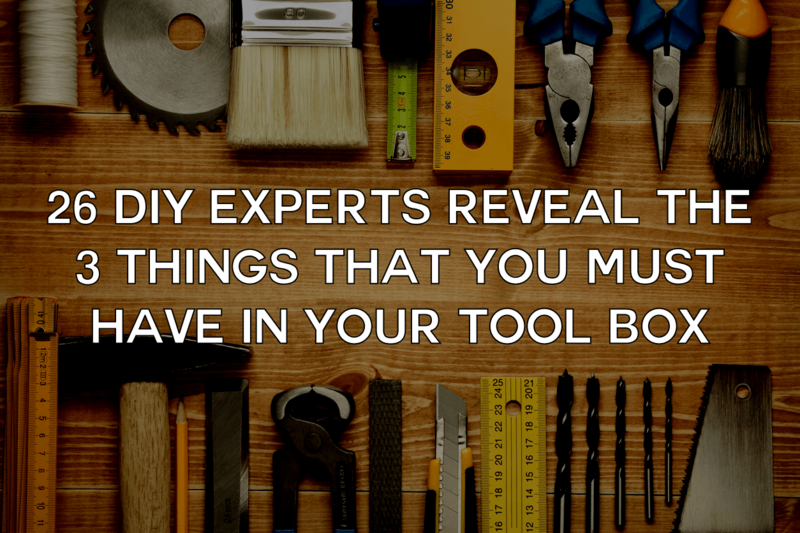 When it comes to buying tools, the first piece of advice is to buy the best you can afford. 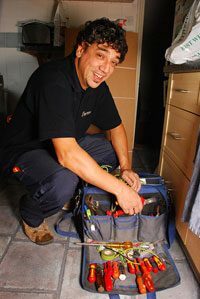 If you do not know what tools you need, or what the best of them is, just use a DIY Forum such as http://www.diydoctor.org.uk/forum.htm where there will be someone to help you make the right decision. The first tool we would buy would be a good cordless combination drill. This is really 3 tools in one. · A screwdriver with plenty of torque settings (the dial round the edge of the chuck which disengages the drive action when it reaches the required setting) so you cannot over-tighten screws. · A drill which will allow you to drill through wood and mild steel or other softer metals. · A hammer drill which will allow you to drill into masonry and concrete. We suggest you can get a great combi-drill these days for about £60 – £70 ($90 – $110). Cheaper ones are available but their strength and durability can sometimes be bought into question. Cordless combination drills usually come in 4 sizes. 10Volt, 14.4 Volt, 18 Volt and 24 Volt. In theory the smaller the battery size, the less power produced, but with today’s lithium battery technology some of the 10 volt combis are immensely powerful but their price can go up to as much as £400 ($600)! For a drill which is light enough to put small screws into softwoods but powerful enough to drive into your house walls to hang shelves we would suggest an 18 volt drill which charges quickly and has two batteries to save you running out of power in the middle of a job. The Einhell TH-CD1L Cordless Hammer Drill fits this brief admirably and at only £68.00 (April 2015) is one of the best deals on the market. The second tool we would buy would be a decent saw. For home improvement a saw which cuts along the grain as well as across it is a good idea and saves money on buying different saws. Also a middle of the road saw “set” is useful rather than buying saws which are coarse cut and fine cut. The set of a saw is the distance (at right angles to the blade) that the teeth are set apart. The wider the set, the coarser the cut. We would use a “Jack” saw which is a Jack-of-all-trades saw (ie does everything with about 8 teeth per inch) with a reliable name. The one we would recommend is coated in PTFE which makes sawing really easy and cuts about 25% faster than a normal Jack saw. The third tool in our box would be a good spirit level. The box frame must be sturdy to avoid bending in any way and the bubble housings must be really secure to avoid and movement or damage to the bubble glass. If a bubble housing moves just 0.01mm (one tenth of a mm) within the level it can make your reading 3mm out over 1m. If you used a damaged level to transfer a level round an average room, there would be 45mmdifference in height between the start and finish of this line! This is why the level we recommend has great shock absorbers at the ends of the level to stop this type of damage occurring when the level is accidentally dropped. A 1m level is plenty long enough for the average home improver. Canadian Wordworking began life as a print publication but has since evolved into something with a far wider reach. 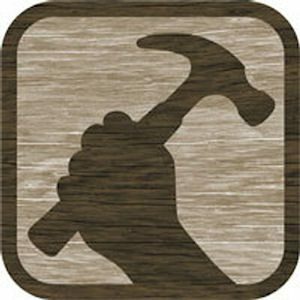 Their community of woodworkers and DIYers enjoy some of the best information on the web and forum is a great place to find tips and tricks from fellow enthusiasts. Keep abreast of the latest from them on their Facebook page or follow them on Twitter. The one hand tool that I can’t do without is a multi-tool – it’s a tool kit in itself. The model I use features two styles of pliers, a wire cutter and crimper, straight and serrated knives, saw, file, three bit drivers, can and bottle openers, awl, and scissors. For tough jobs nothing beats an oscillating multi-tool – a powerhouse of functionality. They come in corded and cordless versions, and use interchangeable accessories for a host of sawing, sanding, scraping, grinding, and polishing jobs. They really are the DIYers best friend. Finally, I always make sure there’s a roll of top quality duct tape in my tool kit, for when I need to hold things together. 1. Electrical tester – makes sure the circuit is dead before working on it. 2. 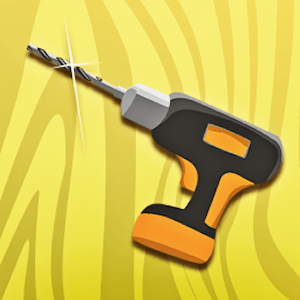 Electrical screwdriver – it’s the right size for undoing the usual screws. 3. Pliers (or side cutters) – for handling wires, stripping cables. 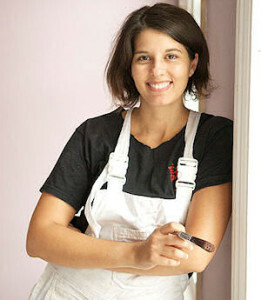 Kristen started Pink Toes and Power Tools as a way to motivate herself through her ever-growing DIY to-do list. She has since built up a loyal online fan base by offering easy-to-follow help and advice to fellow DIYers and woodworkers as well a providing great inspiration along the way. I chose my first two items because I had to run out and get them in the middle of a woodworking project when I DIDN’T have them in my toolbox! The first is a nail set. I love my nail gun, and use it all the time, but mistakes happen (sometimes frustratingly often…) and I always use a nail set to help correct them. The second tool I would pick is a spare drill bit for my countersink bit. Now that I have a spare in my toolbox, I have never broken the bit when countersinking, but before I had one as a spare I had to stop a project and run out and get one. I hate that! The third essential for me is lipstick. Now hear me out! I’m not freshening up my makeup when I’m working on a woodworking project, but lipstick works great for marking where I need to cut out a hole in the back of a built-in cabinet when an electrical outlet is behind it. That’s my three picks–perhaps they aren’t essential to everyone’s toolbox, but they are to mine! 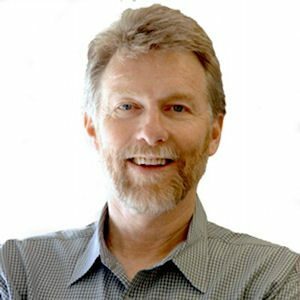 ToolBusiness and Hire Magazine’s Peter Brett defies the rule of 3! As a leading trade magazine for tools and a regular online tool review resource for DIYers in the know, ToolBusiness and Hire’s opinion counts. 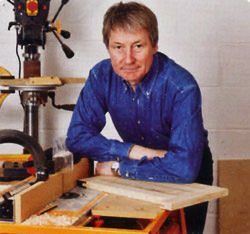 Tool reviewer, Peter Brett, tells us about some of the go-to tools he regularly uses. 1. A quality cordless drill and a set of accessories including driver bits and drills and possibly a bit more. 2. A set of sharp chisels in sizes from 3mm to 25mm. 3. A couple of saws – maybe one cordless and the other a fine-toothed saw for cutting joints? Yes it comes to more than three, but bodging is the inevitable result of inadequate tool choice. So there! DIY with Pro Help gives homeowners the opportunity to get hands-on guidance on all things DIY from husband and wife team, Andrew and Christy Heiskala. With over 25 years experience of remodelling homes they’re perfectly equipped to give us their expert opinion on tool box essentials. You absolutely have to have a tape measure, carpenter pencil and a utility knife. Sounds basic but you can’t start without a tape measure, you can’t mark without a pencil and you can’t sharpen your pencil without a utility knife. Find out more about Andrew and Christy by visiting their Facebook page. Duct tape is probably the most affordable and useful product to have in a home toolbox. It’s also handy to have if you need to make temporary repairs. This reinforced tape can be used both indoors and outdoors, and the sticky adhesive allows it to stick to a wide variety of surfaces. Not just handy for making sure locks do not bind or doors do not squeak, a can of WD-40 is also just the thing if you need to remove spray paint from your hands or crayon from walls. With over 2,000 uses, you can’t go wrong with a small can of WD-40. Gone are the days when you need a complete set of screwdrivers to fix and fasten things around the home. Now you can buy a cordless screwdriver that has an integrated bit cylinder that contains a selection of the most commonly used screwdriver bits – and enough power to loosen or tighten screws with ease. 1) Screwdrivers – Both flat and Phillips head are essential. Go for quality drivers with the hardened tip that won’t bend or crumble during use. 2) Claw Hammer – Wooden handled hammers are adequate, but fibreglass reduces wrist strain. 12 – 16oz is ideal. 3) Pliers – Get both needle nose and tongue & groove pliers if possible. Make sure you buy the best quality you can, cheaper versions will slip more than they grip. Who’d have thought that we’d end up with two votes for lipstick! Thank you so much to everyone who took the time to contribute, it’s greatly appreciated. Please take a second to share our 26 expert opinions with others if you enjoyed reading them. Now, how about you? If you had to pick 3 things that must be in any DIY tool box, what would they be? Let us know in the comments below. Interesting article, much food for thought, thanks. For my little jobs around the home I couldn’t be without my rothenberger pump pliers, they get used for all sorts all the time. Next would have to be a stubby pozi2 screwdriver, as people seem to always put screws in hard to access places. Then lastly it would be my cheap set of tube spanners, the amount of time I’ve wasted messing about when dealing with taps before I got these doesn’t bear thinking about. Thanks for taking the time to comment Patrick. Particularly agree with the stubby’s, very handy! I am a beginner when it comes to DIY and Crafts. 5) I have an awesome little tool set in a bag. Contains – tweezer, screwdriver set, socket set, long-nose pliers, cutters. Thanks for commenting Margy, looks like you’re well on your way to healthy stash of handy tools already! Great recommendations. For tools, quality is vital for me. I hate to have tools that are not working well as they are cheap. Many recommendations here have brand name and what-type. I love that. Great work. Hey Wells Ye, thanks for commenting. Couldn’t agree more, cheap tools will cost you more in the long run. Always better to pay a little extra from the start to get quality tools for your box. I like the Makita 18th model. I have several Fat Max models from Stanley, and also use a new one from Milwaukee. Most are 16 feet long, a few are 25 feet. The type that swing open with replaceable blades. Either the generic type, sitting in a pouch on my belt, or the Switchback model from Milwaukee that clips into my pocket. Nice selection Wesley, thanks for commenting! My favorite tool is my tool belt. It keeps me from constantly looking for things I’m using! Haha, we hear you Mike! I love cordless drill machine. I think every home owner needs cordless drill machine. What a great article. I love DIY work and loves DIY tools but never use oscillating tool. That for meet this lovely tool.